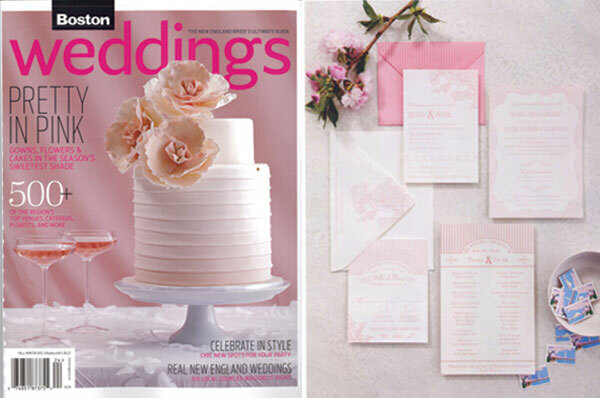 Please sweep up this issue of Boston Weddings Magazine... packed full of chic inspiration for all things pink & wedding related. Tijana & Tyler's Coco Chanel inspired invitation suite worked perfectly with the rest of the spread and we're still swooning over some of the ideas on those pages! Copyright ©2014 Paper Moss, LLC. All rights reserved.